Q: What is the New Social Covenant Toolkit project? The New Social Covenant Toolkit project aims to create global and local partnerships between business, government and civil society that are based on three core values: respect for human dignity, stewardship of the planet and a commitment to the common good. The project comprises a twelve-month action learning platform that will result in the co-creation of a formal publication as well as public disclosure by participating companies on how they embed values inside their company operations. The publication will comprise a values maturity model that will allow corporations to assess their current performance levels in terms of the relevant values. It will also contain practical guidelines on how to incorporate values into strategy and operations, as well as public reporting guidelines. The document will incorporate learnings from two pilot projects, one with a small group of global companies, and one localised in South Africa (aligned with the South African National Development Plan). Q: What are the requirements for participation in the New Social Covenant Toolkit project? Public disclosure in the participating company's 2016 annual report, integrated report or sustainability report, on how the three values have been advanced and embedded. Q: What are the benefits of participation in the New Social Covenant Toolkit project? Participation in the project will enable companies to interact with peers and stakeholders, including senior representatives from governments and civil society. Participants will be exposed to best practice examples on how to embed values within the governance and operational structures of the company. It will also allow privileged access to an online version of the values maturity model. Recognition will be given to all participants in the final publication. Q: What will be the typical experience for a participating company? It must address at least one of the following: human dignity, stewardship of the planet or a commitment to the common good. Public disclosure on the nature of the project, aligned with international reporting standards. Q: Who owns the New Social Covenant Toolkit project? The project is owned by the World Economic Forum Global Agenda Council on Values. 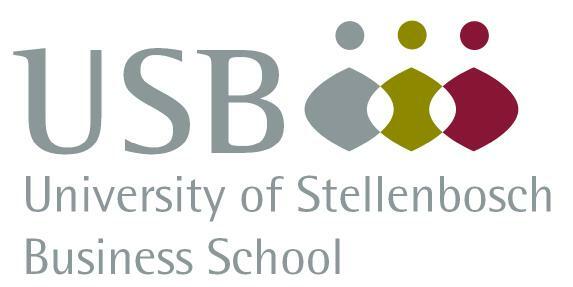 It is supported by Barclays and the University of Stellenbosch Business School. Some components of the Toolkit will be developed in collaboration with the Forum's Partnering Against Corruption Initiative (PACI). Q: What is the Global Agenda Council on Values? The World Economic Forum’s Network of Global Agenda Councils is the world's foremost interdisciplinary knowledge network dedicated to promoting innovative thinking on critical global issues, regions and industries, and incubating projects, campaigns and events for the public good. More information on the Global Agenda Council on Values is available here. Q: Is a formal CEO commitment a precondition for participation? Yes, support for the project has to be confirmed by the CEO. The CEO does not have to be involved in the practicalities of the project, but has to nominate a senior level executive as the main contact person to liaise with the Global Agenda Council on Values. Q: What is the estimated time commitment that should be made to the project? It is estimated that the main contact person for each company will have to spend about three to four days over a twelve month period, attending a maximum of three workshops (London for the global project, Johannesburg for the South African project). The development of the company-specific initiatives will be integrated with the existing company processes, and the internal time commitment will depend on the nature of the individual projects. Q: What will be the final output of the pilot project? The final output will be a publication, the "Toolkit on the New Social Covenant", to be launched early in 2016. Q: Are there any costs involved to participate? All direct project costs are covered by Barclays. However, participants are responsible for their own travel and accommodation costs, where relevant. Q: How does the South African pilot project differ from the global project? Public infrastructure investment at 10 percent of gross domestic product (GDP), financed through tariffs, public-private partnerships, taxes and loans and focused on transport, energy and water. The purpose of the South African project would be to develop pilot projects in support of specific actions selected from the list above, align them with the values of the New Social Covenant, and then to measure and publicly report on progress. Q: Is the project competing with other international standards such as the United Nations Global Compact? No, the project is aligned with such standards. An initial mapping exercise has already been completed to indicate how the New Social Covenant values are aligned with the United Nations Global Compact and Sustainable Development Goals, and also how reporting metrics can be developed based on the Global Reporting Initiative Guidelines as well as the International Integrated Reporting Framework. Q: Will the project continue after the publication of the toolkit? All participating companies will participate in a formal debrief after the publication of the Toolkit, and will determine whether the project will continue, and if so, in what form. Q: What support will be provided to participating companies? The project manager will be in regular contact to discuss progress and to provide advice where necessary. Research assistants are also available to respond to specific requests for information. Q: What is the maturity model? The maturity model is a self-assessment tool that will enable companies to determine the company's level of maturity in terms of embedding values within the company’s operations. The results will be completely confidential. Participating companies are required to disclose information about their initiatives in their public reporting (annual report, integrated report or sustainability report). These requirements are not onerous and will hopefully be fully integrated with existing reporting practices. Participation in the New Social Covenant Toolkit project should be acknowledged in the relevant report. Q: Who can participate in the project? At the moment, participation is restricted to member companies of the World Economic Forum. Because it is a pilot project, numbers will be restricted to approximately 20 companies. Q: Is there an academic theory that supports the design of the New Social Covenant? Integrative Social Contracts Theory, developed by Tom Donaldson and Tom Dunfee, is particularly useful. The theory supports the idea that the New Social Covenant is not a single document supported or signed by signatory companies, but rather that there is an agreement on universal values (the New Social Covenant) as well as multiple covenants that will be designed and implemented by companies and other stakeholders. For more information, see "Ties that Bind", by Donaldson and Dunfee. Q: What is the history of the New Social Covenant project? At the 2013 annual meeting of the World Economic Forum, the Global Agenda Council on Values released a document entitled “A New Social Covenant”. This document describes how old social contracts have unraveled, and how former assumptions and shared notions about fairness, reciprocity, mutual benefits, social values, and expected futures have all but disappeared. The Council called for a period of global reflection and dialogue on this concept, with the aim to create global and local partnerships between business, government and civil society that are based on three core values: respect for human dignity, stewardship of the planet and a commitment to the common good. The original discussion document can be accessed here. For more information, contact the project manager: Daniel Malan (+27 83 5611292 or daniel.malan@usb.ac.za) or the manager of the Global Agenda Council on Values: Michèle Mischler (+41(0) 22 869 36 79 or michele.mischler@weforum.org). Michèle Mischler (+41 22 869 36 79 / michele.mischler@weforum.org).